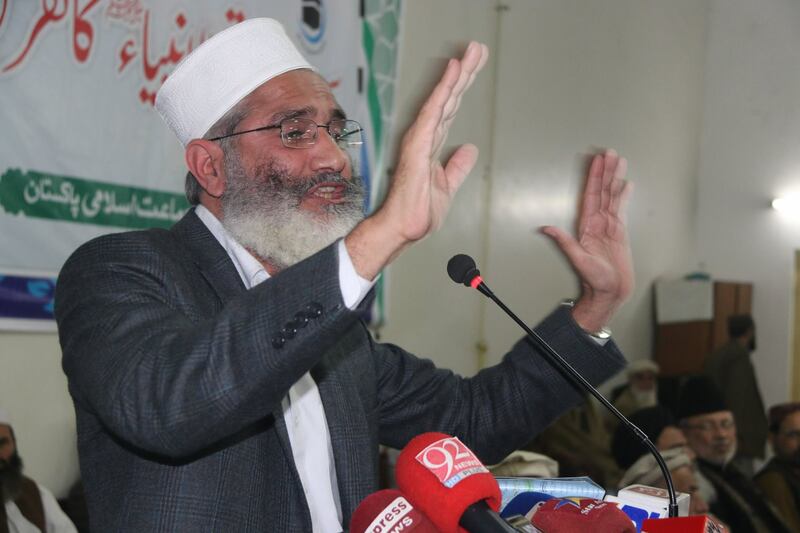 LAHORE: Jamaat-e-Islami chief Siraj-ul-Haq has called upon the Supreme Court to take suo moto notice to expose the elements behind the changes in the Khatm-i-Naboowat oath. 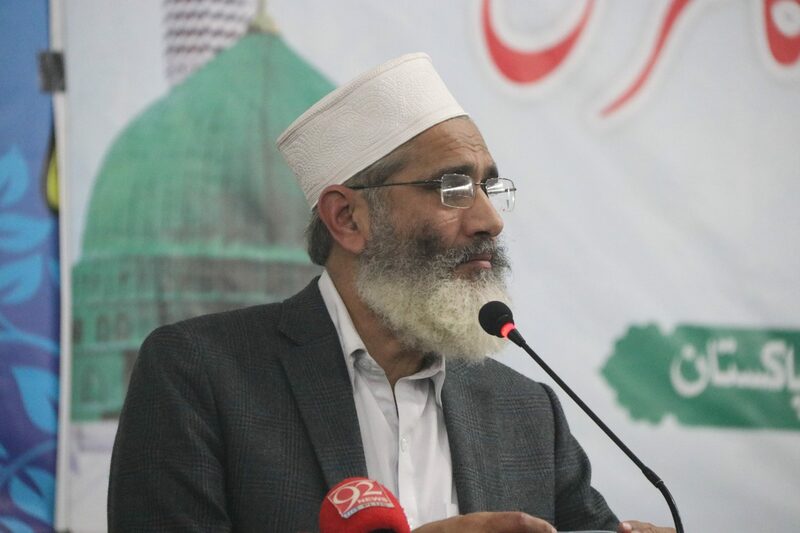 The JI chief said that the international establishment was the main hurdle in the emergence of a true Islamic leadership in the Muslim world, including Pakistan. He said that the enforcement of Shariah was the only solution to all the problems being faced by the country. The prevailing political culture only suited the wealthy, and there was nothing in it for the common man, he said. JI ameer said that the terrorists in the corridors of power were as harmful to the country as those hiding in the mountains. The JI chief said that the government had lost its hold and it was groping in the dark. “The present rulers never had any objective before themselves nor were they capable of leading the country and the nation to the goal of progress and prosperity,” he added. He urged the masses to support the JI for social justice and equality, just distribution of the country’s resources, interest-free economy and for establishing an Islamic welfare society. He said that one did not need money to lead a simple life following in the footsteps of the beloved Prophet (PBUH).